We have been providing high quality name badges for 25 years. We provide excellent service at a fair price. 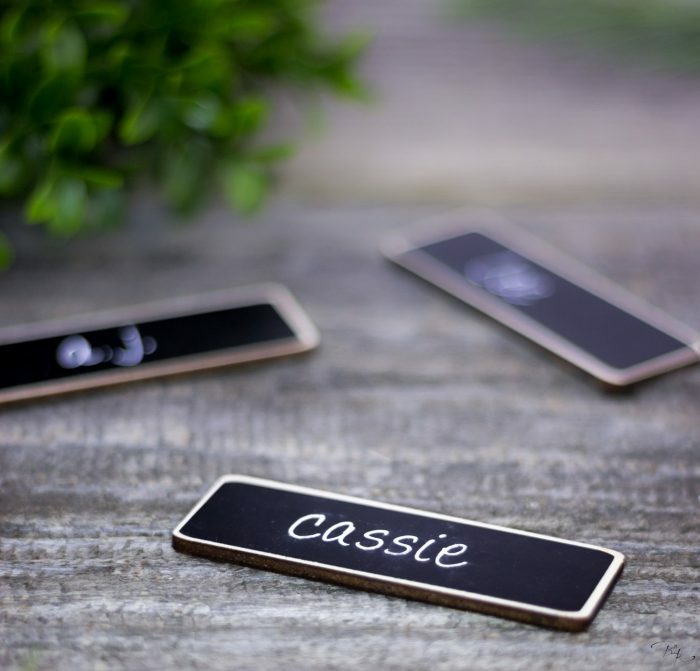 Just For You offers the option to provide name badges with your company logo. What we need from you is camera-ready art work. From this we can provide you with several different layouts for you to select. Once a decision has been made on which layout you want to go with, a di will be created (there is a one-time $75.00 charge for the di). Another option is to not include your logo, but to put your company name in block letters at the bottom and the persons name in larger print at the top (this eliminates the additional charge for the id). ** We offer any of the styles in brushed gold or silver. Let us show you how fast and easy it is to provide your company with a high-quality name tag by ordering today!